Views that will take your breath away! 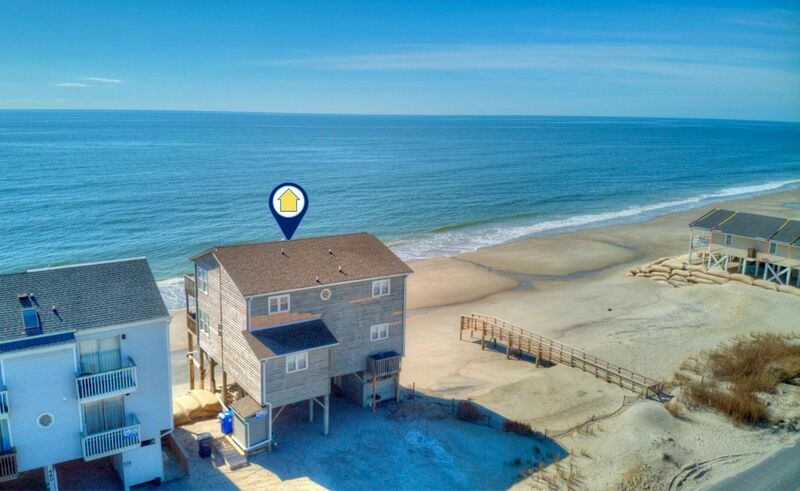 Come stay in this lovingly cared for Oceanfront beach home located on the quiet east end of Ocean Isle Beach. With four bedrooms, three bathrooms plus a sleeping loft and a fully equipped kitchen, open and spacious living room, covered porch, sundeck, high speed Internet access, telephone, two color cable TVs (two flat panel TVs) with on-demand cable, 2 DVD players, enclosed outside shower. Covered lower decks and open upper deck. Beach renourished on this end and direct access to beach is now available! Sleep your whole family at the beach in the following bedding configuration: Upstairs - King, 2 Doubles, Double Sleeper Sofa (loft). Downstairs: 2 Doubles 2 Doubles, Sleeps 16. Non-smoking. the house was very nice in that is was private d/t the location, very close to the beach, awesome views, but after being at the beach and seeing other homes and checking them out on line it was very dated for the price, the location made up for the defects but not sure would rent it again for that price.